It’s rainy season once again, yet another reason to find yourself curled up in bed with a good book, and probably a steaming cup of coffee or chocolate drink within arm’s reach. If it were up to me I would also prefer having a bedside commode especially if I were engrossed in some really great novel. Or better yet, an adult diaper so peeing wouldn’t get in the way of my exciting read. A really gross idea, my bad…but sometimes I just get weird thoughts like these. Anyway, what are suggested good reads for rainy days this year? 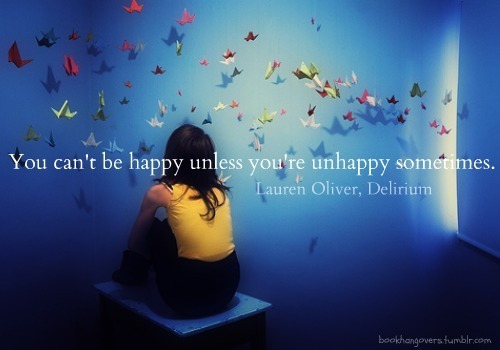 I am about to finish the Delirium trilogy, penned by my new favorite, Lauren Oliver. When I read the synopsis of this trilogy I actually LOLed, and pushed it aside, deciding then that it is one for my daughter instead as it seems to be totally YA (young adult genre). Then one rainy afternoon, as luck would have it, I started skimming through the pages and found myself enjoying it. What can I say, I’m a ‘juvenile’ mom, practically a 16-year-old trapped in an old (?) woman’s body. Delirium is another dystopic novel, set in (“alternate present” as with other dystopian reads) Portland, where the government mandates surgery to cure the infectious disease termed as ‘amor deliria nervosa’ (translation: Love) for all citizens when they turn 18. See? That is why I immediately dismissed it as extremely YA; and why I feel so foolish enjoying the books and even find myself giddy all over while reading. Anyway, the protagonist in this book, Lena Halloway, was scheduled for her surgery in a couple of months…but got “infected” with the disease before she had her surgery. She met Alex, and fell for him thus getting all delirious. I did too. Hahaha. Now this is a big problem when picking up the first book of a trilogy, a series or a saga. You put a considerable amount of time, energy and passion into it. It feels like you’re stuck and could not bring yourself to start another book no matter how boring, or tragic, or sorrowful many parts of the book turn out to be. It requires a good amount of dedication, or more aptly, of devotion. But with the Delirium trilogy (second book: Pandemonium, third book: Requiem), I was wonderfully stuck and greatly impassioned. That’s kind of a problem when you are that much into a good book: sometimes real life feels like a lull in between readings. Exaggeration? Not really. If you enjoyed the Hunger Games trilogy and the first two installments of the Divergent trilogy, this sounds the same, only cheesier. Much cheesier. You’ve been forewarned. Other books you should get hold of this rainy season? Dan Brown’s Inferno, made more popular (and interesting?) by his allusion to the city of Manila as the “gates of hell”, and And the Mountains Echoed by Khaled Hosseini (author of the bestsellers “The Kite Runner” and “A Thousand Splendid Suns”). Enjoy reading!! !